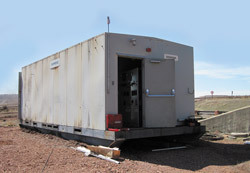 The lube room at Cloud Peak Energy's Spring Creek mine near Decker, Montana, began as an old electrical motor-control-center trailer. 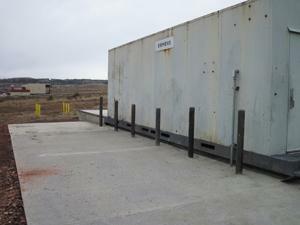 Although the trailer was well-insulated and sealed, a location had to be chosen that would be centrally located yet separate from washdown and processing. Once the old electrical components were removed, the lube room was equipped with a fire-suppression system and a new heating/air-conditioning unit for climate control. The floor was then painted with a chemical-resistant, anti-slip coating. Sealed hazardous environment lighting and a new door with a window were also added. Concrete was poured around the lube room, and concrete heating was installed on the loading dock. The completed loading dock features a handrail and a jib crane that allows lubricants to be loaded and unloaded in and out of the lube room. Portable oil totes were modified so lubricants could be moved to remote locations via overhead/vehicle-mounted cranes. lube room for the mine. 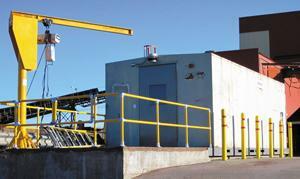 An audit of the mine's lubricants determined that it could consolidate down to eight separate lubricants. Eight 65-gallon containers were then purchased to be utilized as makeup oil reservoirs. 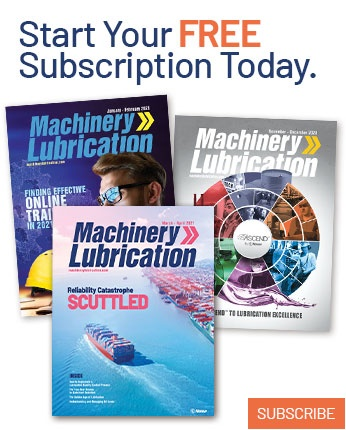 Additional 65-gallon containers are used for larger lubricant requirements. A portable cart is employed for each oil type. Filtration units were also mounted for all of the mine's reservoirs. to create an all-concrete loading dock. 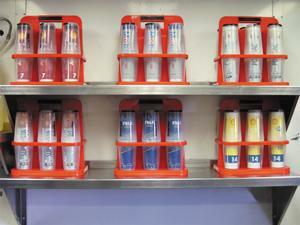 The lube dispenser was equipped with a custom stainless-steel drip tray. The system is designed to continually filter oil in the top "makeup" oil reservoir. 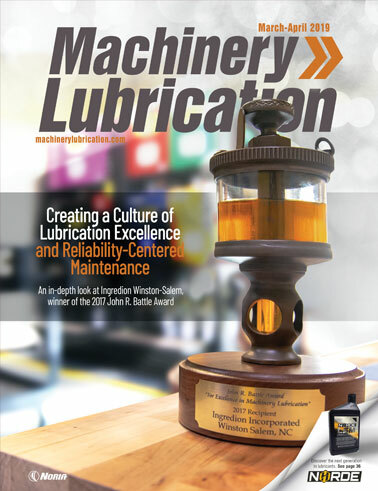 During the lubrication audit, the number of greases was consolidated to six types. Containers were purchased to store all grease on hand. Reducing the stock on hand helps guarantee that grease is circulated more frequently, decreasing bleed and separation. A work order ensures that grease is restocked weekly. All "plant-wide" grease guns were disposed of, and a new grease gun was designated for each type of grease. These are the only grease guns used in the plant. A custom holder was fabricated to hold these grease guns, allowing users to identify which guns are currently in use. Tags were posted at each grease gun pocket, identifying the grease gun location. Only clear tubes are used to reduce cross-contamination of greases. 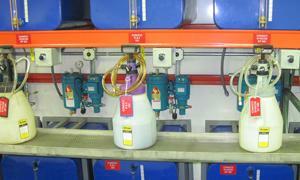 Greases that are used for electric motor lubrication have been equipped with grease-dispensing meters. The other grease guns are calibrated and equipped with a tag, which includes the volume dispensed per pump and the date checked. A desk was dedicated to house all oil analysis equipment and procedures. A large bulletin board is used for posting all current oil analysis/filter analysis results. This allows every mechanic to have access to all the results. It also provides a "dashboard" for problematic equipment.